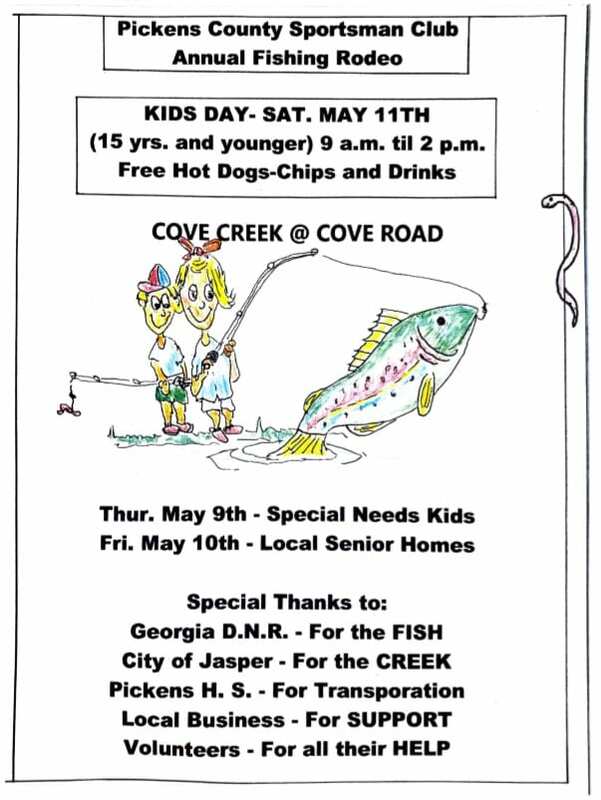 JASPER, Ga. – With roughly 25 years of the annual Fish Rodeo, the city is preparing once again for this beloved event. The Council heard the required request, and subsequently approved, for the Pickens County Sportsman Club Annual Fish Rodeo this month to allow the event in May. Sportsman Club representative Walt Cagle offered fliers to the council as he presented the request. The four-day event will see support for the community, special needs, and senior homes in the area. Mayor John Weaver called the rodeo “a very special event” in recent years as it has been about a decade at the Cove Creek location. Cagle notes the wired off location will provide stock trout for all who wish to participate. He went on to say that the event not only serves Pickens County, but all who wish to attend and he evens sees response from senior homes in Cherokee. The council officially provided the proclamation needed for the event to have the Georgia Department of Natural Resources to close off the creek for the event. 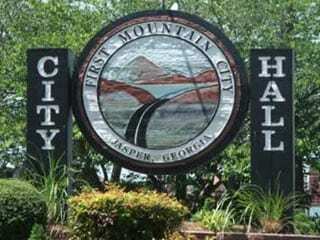 JASPER, Ga. – Despite a special called meeting of the Jasper City Council with a “City Manager Appointment” item on the agenda, no new public information is available. 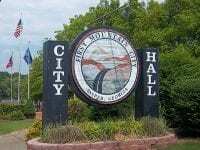 At this time, Mayor John Weaver said that the council is recomending the current City Manager, Jim Looney, to move forward with the process. This means that Looney will enter into negotiations with the candidates and move forward in the hiring process. There is no new information about the issue at this time, but with Monday’s December 10 day of interviews, it does meant he city is moving closer to an announcement of their new manager.